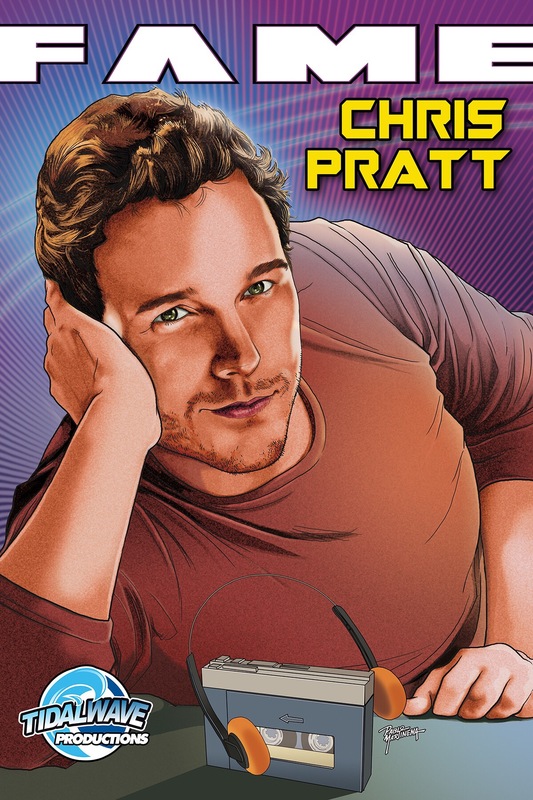 Written by Michael Frizell and art by Nathan Webb, Fame: Chris Pratt will be available in print and on various digital platforms. Special covers Pablo Martinena & Lesley O’Brien. No actor on the planet is hotter right now than Chris Pratt. His work showcases his affable sense of humor, his boy-next-door good looks, and his improvisational style that has won him fans from around the world. He’s able to do comedy, drama, horror, and science fiction because his work defies genre. Read the story behind his meteoric rise from a guest-stint on “Parks and Recreation” that turned into a permanent spot to starring in the biggest film of 2015, Jurassic World as well as the epic Guardians of the Galaxy franchise. “Drawing a Chris Pratt comic meant that I get to draw Velociraptors, boxing, wrestling, football, baseball, assault rifles, gunslinger pistols, aliens, space ships and even Lego. Basically this comic includes a whistle stop tour of some really cool and exciting Hollywood blockbuster movies he’s starred in”. said artist Nathan Webb. Print copies of the title start at $3.99 and can be ordered only at SpinWiz Comics via their website. Tags: Chris Pratt. Bookmark the permalink. Previous post ← It’s Almost Summer!